When it comes to chronic heel pain, you need the best treatment options available. You don’t have time to slow down! That’s not to say that traditional remedies, like stretching, massage, and rest can’t still be effective, or be a part of a comprehensive treatment plan. But there are drawbacks, too. They may take days or weeks to yield the results you need, and that’s a lot to ask of someone who loves to run, plays a sport, or spends their entire workday on their feet. Furthermore, when traditional remedies are all you have, and they fail to provide results in a timely fashion, your only other recourse is surgery. Extracorporeal pulse activation treatment (EPAT). It’s also sometimes colloquially known as “shockwave therapy,” although EPAT is a technological improvement over older shockwave technologies. This is a non-invasive procedure that directs pulses of guided energy deep into inflamed tissues and trigger a natural healing response. The procedure requires only a brief appointment and you won’t need any anesthesia or experience any downtime or significant side effects. New combined electrochemical therapy (CECT). This is the premier treatment option for heel pain caused by neuropathy or other forms of nerve damage. Treatment includes a combination of two primary technologies. Electronical signal therapy (EST) is used to temporarily overload the nerve’s signal processes, alongside a mild local anesthesia. These procedures work together to significantly reduce pain, and may even help restore some nerve function as well. Custom orthotics. Okay, orthotics aren’t exactly a “new” treatment, but not all shoe inserts are created equal. The right pair of orthotics, molded to fit your feet exactly and made from high quality materials, can significantly reduce heel pain and eliminate biomechanical problems causing problems throughout the body. 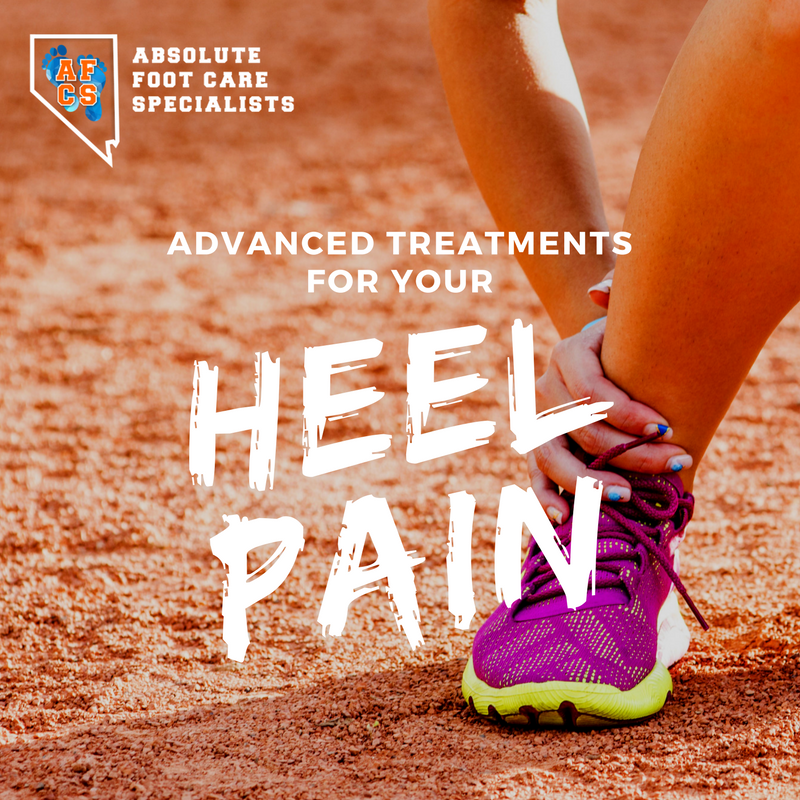 At the Nevada Heel Pain Center, our experts have extensive experience working with custom orthotics and can get you just what you need to feel better. Is chronic heel pain taking the fun out of life? You need solutions that will really work. To find out how we can help you with a range of comprehensive and advanced treatment options, give us a call today at (702) 839-2010.